I met Caitlin on the internet back when her oldest, Maisy, was still in diapers. They had just bought their little farmstead and I was still deep in the throes of my own farming adventures. A lot has changed since then- namely the fact that she has three more babies (! ), found her calling as a flower farmer, and (most excitingly) we finally met in person! 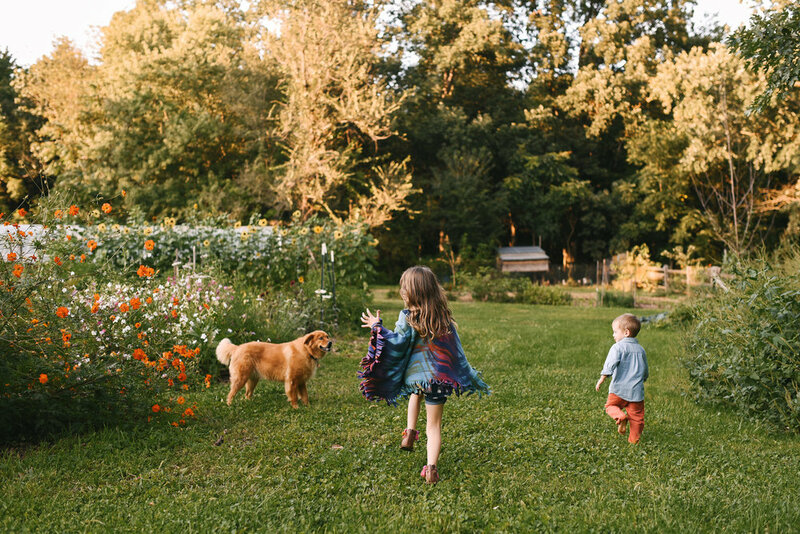 During our session, the kids nibbled goldfish instead of dinner, ran around with dirt between their toes, played hide and seek in the cosmos patch, and licked ice cream cones on the greenhouse porch. All the things childhood is made of. 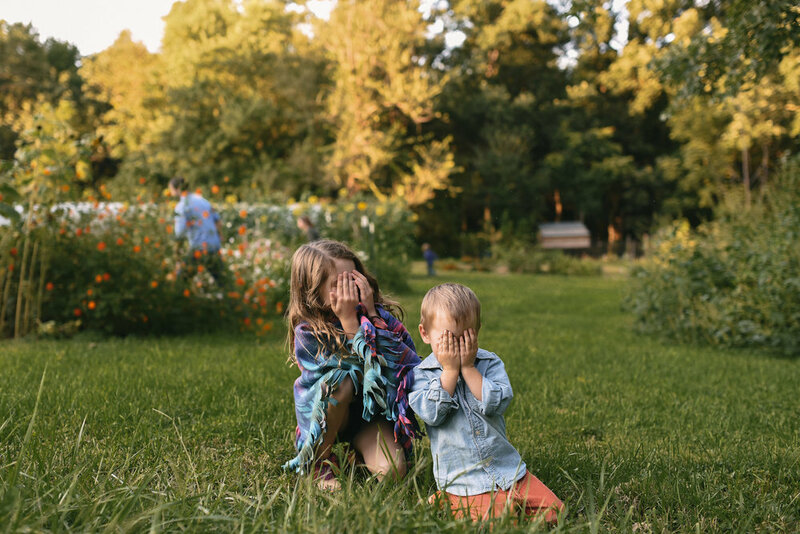 This was their first time asking a family photographer to document their life, and I think we made some absolute magic together!